We love music, here at Nova-box. However, being a music enthusiast is one thing, but understanding and creating an interactive soundtrack is quite another. For Seers Isle, we decided to work with Camille Marcos and Julien Ponsoda from the Illustrason collective. Our goal was to get an original soundtrack that would really complement the interactivity of the narration. The music tracks for the game are no mere ambient pieces of composition, but complex samples that are weaved together and constantly morph to the rhythm of the choices made by the reader. Under the hood, our game engine is now capable of interfacing with Fmod, the music middleware that was recommended by our partners from Illustrason. We’ll go more in depth on the technicalities of the soundtrack creation and integration in a future blog post. 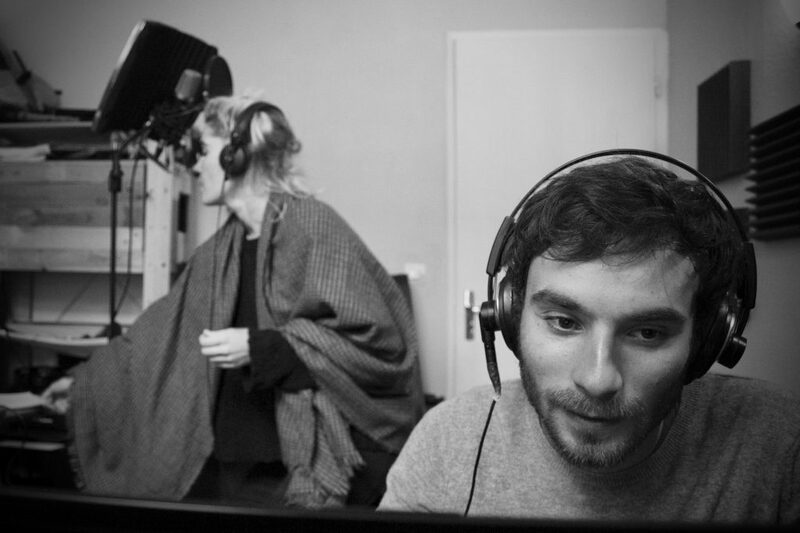 Julien and Christelle are recording vocals takes. On the creative side, as you may have noticed with our first teaser video, we’ve been working hand in hand with the musicians to make the sonic universe of Seers Isle come to life. In the early stages of the project inception, we asked Christelle Canot to lend us her voice. She was moved and inspired by the setting and the story, and she came back to us a couple of weeks later with an original composition. We were immediately thrilled by the atmosphere of the song, and we used it as the main theme for the teaser video. 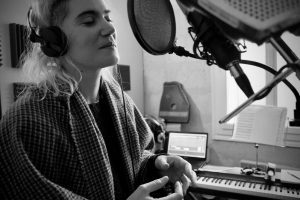 Camille and Julien worked on arrangements and recorded the teaser soundtrack with Christelle, along with this longer version, that will be featured in the game. Of course, we’ll share the highlights of this sonic adventure in picture and in video.